Sudden cardiac arrest is a leading cause of death in the United States. An estimated 890 deaths from sudden cardiac arrest occur outside of the emergency room or hospital each day. According to the Occupational Safety and Health Administration (OSHA), approximately 10,000 sudden cardiac deaths occur each year while victims are at work. Many of these victims might have been saved if an automated external defibrillator (AED) were available. The American Heart Association (AHA) supports placing AEDs in businesses and office complexes. An AED is a computerized medical device that analyzes a person’s heart rhythm, determines whether a shock is needed, and delivers a defibrillating shock if necessary. Owing to advances in technology, AEDs have become widely available and are safer, lighter, more portable, and easier to use than ever before. The prices of AEDs have also dropped significantly over the years. In the past, an AED could cost as much as $10,000, but these days, you can get an AED for around $1,500-$2,000. Most cardiac arrests are caused by ventricular fibrillation, an abnormal heart rhythm in which the heart flutters or quivers instead of pumping. The only recognized treatment for sudden cardiac arrest is early defibrillation, which shocks the heart back into a normal rhythm so that it can pump blood. The heart will not permit adequate circulation after sudden cardiac arrest, even if CPR is performed. Using an AED immediately after sudden cardiac arrest can increase the chance of survival by more than 90%. The survival rate is reduced by approximately 10% for each minute that defibrillation is delayed. Placing an AED in your workplace can enhance employee morale, boost productivity, and improve employee safety and security. Should You Invest in an AED at Your Workplace? These problems typically occur due to lack of use and are generally the result of faulty circuit boards, software bugs, incompatible or damaged cables, or issues with battery management, among other factors. Another common concern is liability. Some organizations are reluctant to implement an AED program because they’re worried about lawsuits. Fortunately, all 50 states and the District of Columbia include AED usage in their Good Samaritan laws, so bystanders who voluntarily aid someone in an emergency are protected. 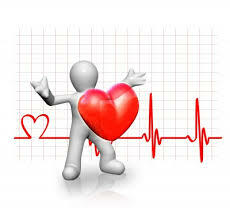 Sudden cardiac arrest victims, for all intents and purposes, are already dead. Therefore, using an AED can only help them, not hurt them. There is no federal requirement for employers to provide AEDs in the workplace, but all 50 states have enacted laws or regulations regarding AEDs in the workplace. You can find information about AED laws in your state on the National Conference of State Legislatures website. If you want to get an AED for your workplace, you may need to get a prescription from a doctor. AEDs are considered medical devices, so the Food and Drug Administration (FDA) oversees their manufacture and purchase. The AHA strongly recommends creating an AED program in which employees are properly trained to use the devices, a licensed physical or medical authority provides medical oversight for quality control purposes, and the people responsible for using the AED receive formal CPR and AED training. With just a few hours of training, anyone without a medical background can learn to operate an AED safely. In AED training, operators also learn how to recognize the signs of sudden cardiac arrest, how to activate the EMS system, and how to perform CPR. It’s important that people responsible for operating an AED receive CPR training because CPR helps circulate oxygen-rich blood to the brain. Typically, after an AED delivers a shock, it prompts the operator to perform CPR for a couple of minutes and then continues analyzing the victim’s heart rhythm. An important aspect of AED program management is notifying the local EMS office, so they know where AEDs are located in the community. In the event of an emergency, the 911 dispatcher will know whether there is an AED on the premises and be able to notify the EMS system and any responders on the scene. Another issue to consider is an AED program’s compliance with local, state, and federal regulations. An organization’s AED program should also include a quality assurance program and incorporate periodic reviews. The AHA doesn’t recommend any particular AED but suggests choosing a simple and easy-to-use device that meets your organization’s needs. Prior to purchasing an AED, evaluate the manufacturer’s history and reputation as well as the quality of their technical support. AEDs should be placed in visible and easily accessible locations. After implementing an AED program, your organization should promote and raise awareness of the program among employees and use signs to help employees identify where the devices are located. It’s also crucial to inspect AEDs on a monthly or weekly basis to ensure that they’re working correctly. Contact the manufacturer periodically to obtain information about software updates and upgrades. We are dedicated to making your workplace a compliant and safe environment. Call 1-800-695-5655 or contact us online for more information about our AED program management services. EMC CPR & Safety Training, LLC is a national distributor of leading AED brands, including Cardiac Science, Defibtech, HeartSine, Philips, and ZOLL. In addition, we offer full AED management programs. Founded by New York CPR expert Stephanie Duehring, EMC CPR & Safety Training, LLC offers American Heart Association, ASHI, ECSI, and Red Cross CPR/AED/First Aid classes. We utilize a hands-on learning approach that leads to high comprehension and retention levels among students. The company offers on-site training for businesses nationwide. I am trying to find ways to make my office safer for employees and customers so I am glad that I found this article because I had no idea how important automated external defibrillators are. You make a great point that training employees to use defibrillators only takes a few hours and could save someone’s life in the future if they go into cardiac arrest. Also, I appreciate that you say to check the AEDs often to make sure they are working properly without any issues because this will give me peace of mind that I am keeping my workplace as safe as possible.